on the 23 March 2011, at MCMC Cyberjaya starting from 10am. Cyberjaya. Fees for this exam is RM50.00. Examination Notice directly from MCMC's website. Tahun baru ni dimulakan dengan cerita 'nak jual rumah'. Yes, house for sale. 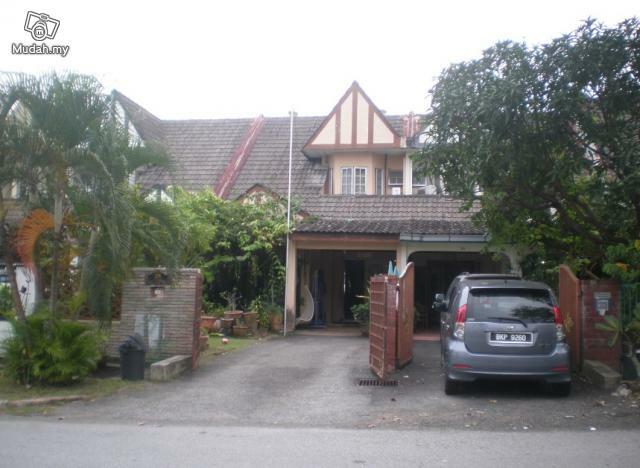 My house in Seksyen 8, Shah Alam yg kami dah 10 tahun tinggal di situ. Agen dah ada, kat mudah.my ada iklannya kalau nak tengok gambar & details pasal rumah tu. * Pendaftaran keahlian ASTRA dibuka pada hari tersebut. Sila download borang keahlian di Website ASTRA atau blogspot Astra Tengah. 'Ma Petite Armoire' - bukan tajuk buku atau judul movie...tapi nama 'kedai' menjual pakaian kanak-kanak yang diusahakan oleh isteri saya. Masih baru. Menjual baju-baju 'branded' dan 'ori' dengan harga yang jauh lebih murah daripada yang didapati di butik-butik pakaian kanak-kanak. Kalau nak cari kedai ni, kenalah buka Facebook, search 'Ma Petite Armoire'. Sila letakkan pesanan anda dalam 'comments'. Harga? Memang berpatutan dan akan diberitahu dalam 'reply' dari tuan punya kedai. Koleksi terbaru akan di'update' dari semasa ke semasa. Harap rakan-rakan akan menolong 'promote' kedai ni kepada rakan-rakan yang lain. Kalau nak panggil untuk buat promosi di tempat anda pun boleh sangat-sangat. Hubungi saya di 012-2026674. CW Test siri 2010-1 telah berlalu...Tahniah kepada rakan2 yang telah berjaya 'menukar baju'. Yang tak berjaya (termasuk aku), diharap kita akan berjumpa lagi di siri 2010-2. Seronok rupanya ambik CW test ni. Walaupun dari peringkat Rx lagi aku dah tahu aku gagal & terpaksa pulang ke 'saltmine' kerana tuntutan kerja. Rasa macam nak terus daftar untuk test seterusnya. Saya nak membantu rakan2 & saya sendiri membeli rig HF. Caranya ialah dengan kutipan wang cara 'kutu'. Saya perlukan 11 orang lagi rakan. Kutipan akan diadakan selama 12 bulan bermula hujung bulan Januari. Giliran akan ditentukan secara undian bulanan. iv. Nombor akaun Maybank (kalau ada), kalau takda, mana2 bank pun ok.
Sila sms ke 012-2026674 atau email ke 9w2azx@gmail.com sekiranya berminat. Kalau dah cukup quorum, saya akan publishkan list nama2 peserta di blog ni beserta details. Disebabkan tidak ramai rakan yang berminat, projek "Jom beli HF Rig" ini terpaksa dibatalkan. Saya meminta berbanyak-banyak maaf kepada beberapa rakan yang telah menyatakan minat untuk menyertai projek 'kutu' ini. Walau bagaimanapun, sekiranya ada mana-mana rakan yang masih berminat & bersedia mencari ahli, sila hubungi saya. Sila war-warkan kepada sesiapa yang belum dapat maklumat. Peserta yang ingin mengikuti seminar ini boleh email kepada saya atau fax. Another newest family member added today. No, not another baby girl. Just a new SWR meter, a Diamond SX27P. I find it quite small & easy to operate, and the price is suitable for me. A good review from eHam.net . Got it from Wave Communications. Thanks Bro Azmi. Sempena Hari Raya Aidil Fitri yang akan menjelang tiba, diharap rakan2 Ham khususnya dan semua rakan akan memeriksa keadaan kenderaan masing-masing, terutamanya keadaan tayar. Di sini ditunjukkan beberapa keadaan tayar yang perlu diambil perhatian (nak kena tukar le ni...). Extracted from Kwik-Fit website. Under-inflation has caused this tyre to wear on the outer edges of the tread, leaving the central tread area far less worn. The tyre inner-liner can also degrade. Over-inflation has resulted in the central tread area being forced into contact with the road causing rapid or crown wear. A typical example of the wear pattern caused by front wheel misalignment, (Toe-in or toe-out). The edge of the tread is "feathered" and worn progressively from one side. Excessive wheel camber has caused sloping wear on the outer edge of the tread on one shoulder of this tyre. This tyre has been used well after reaching the legal minimum pattern depth of 1.6mm across the central ¾ of the tread, going around the complete circumference of the tyre. This tyre has reached the legal minimum pattern depth of 1.6mm. An emergency braking manoeuvre with this tyre has caused the tyre to rapidly wear through the complete casing causing the tyre to deflate. Sharp objects can cause considerable damage rendering a tyre unserviceable. This is damage caused by an impact to the sidewall. The bulge or "egg" indicates localised casing damage. Mungkin ada rakan-rakan ham yang terjumpa atau diberitahu mengenai JIS ini sewaktu memilih radas(rig). Ini adalah penerangannya dalam bahasa Inggeris. The Japan Industrial Standards (JIS) for water resistance uses a "0" to "8" scale to define the level of water ingress protection built into each product. If the product was tested in compliance with this standard it is usually listed on the product spec sheet. The various JIS classes are defined below. Degrees of protection against ingress of water indicated by the second characteristic numeral. Protected against vertically falling water drops. Vertically falling drops shall have no harmful effects. Protected against vertically falling water drops when enclosure is tilted up to 15 degrees. Vertically falling drops shall have no harmful effects when the enclosure is tilted at any angle up to 15 degrees on either side of the vertical. Water sprayed at an angle up to 60 degrees on either side of vertical shall have no harmful effects. Water splashed against the enclosure from any direction shall have no harmful effects. The test is made using one of the two test devices described in figure 4 and in Figure 5 in accordance with the relevant product standard. The oscillating tube has spray holes over the whole 180 degrees of the semi circle. The total flow rate is adjusted as specified in Table IX and is measured with a flow meter. The tube is caused to oscillate through an angle of almost 360 degrees, 180 degrees on either side of the vertical, the time for one complete oscillation (2x360 degrees) being about 12s. The duration of the test is 10 min. If not specified in the relevant product standard, the support for the enclosure under test is perforated so as to avoid acting as a baffle and the enclosure is sprayed from every direction by oscillating the tube to the limit of its travel in each direction. The test is made by spraying the enclosure from all practicable directions with a stream of water from a standard test nozzle as shown in figure 6. Internal diameter of the nozzle: 6.3mm. Water pressure: to be adjusted to achieve the specified delivery rate. Core of the substantial stream: circle of approximately 40mm in diameter at 2.5m distance from the nozzle. Test duration per square metre of enclosure surface area likely to be sprayed: 1 min. Minimum test duration: 3 min. Distance from nozzle to enclosure surface: between 2.5m and 3m. Test means: Water jet hose nozzle Figure 6. Nozzle 6.3mm diameter, distance 2.5m to 3m. Water flow rate: 12.5 litres per minute +/- 5%. Duration of test: 1 min/m2 at least 3 min. Protected against powerful water jets. Water projected in powerful jets against the enclosure from any direction shall have no harmful effects. Internal diameter of the nozzle: 12.5mm. Core of the substantial stream: circle of approximately 120mm in diameter at 2.5m distance from the nozzle. Test means: Water jet hose nozzle Figure 6. Nozzle 12.5mm diameter, distance 2.5m to 3m. Water flow rate: 100 litres per minute +/- 5%. Ingress of water in quantities causing harmful effects shall not be possible when the enclosure is temporarily immersed in water under standardised conditions of pressure and time. d) the water temperature does not differ from that of the equipment by more than 5 degrees Kelvin. However, a modified requirement may be specified in the relevant product standard if the tests are to be made when the equipment is energised and/or its parts in motion. Test means: Immersion tank. Water level on enclosure: 0.15m above top, 1m above bottom. Water flow rate: not applicable. Duration of test: 30 minutes. Ingress of water in quantities causing harmful effects shall not be possible when the enclosure is continuously immersed in water under conditions which shall be agreed between manufacturer and user but which are more severe than for numeral 7. Unless there is a relevant product standard, the test conditions are subject to agreement between manufacturer and user, but they shall be more severe than those prescribed in 14.2.7 and they shall take account of the condition that the enclosure will be continuously immersed in actual use. Test means: Immersion tank. Water level: by agreement. Duration of test: by agreement. 'Practical Wireless', 'CQ' & 'QST' adalah antara beberapa majalah Radio Amatur dari luar negara yang biasa terjual di kedai2 buku kita. Kandungannya merangkumi berbagai2 topik berkenaan Radio Amatur, dari jualan peralatan sehinggalah topik 'homebrew' yang semakin mendapat tempat di kalangan rakan2 Radio Amatur. f. dan banyak lagi faedah yang boleh kita semua dapati dengan adanya majalah Radio Amatur kita sendiri. Sebagai permulaan, wakil dari kelab2 Radio Amatur bolehlah mengadakan perbincangan mengenai majalah ini. Dalam hal ini, saya pasti KRAMAT sebagai koperasi yang mengumpulkan semua rakan ham tanpa mengira kelab dan persatuan boleh mengorak langkah pertama dalam usaha menghasilkan majalah hobi yang kita sayangi ini. Saya pasti, rakan2 lain juga akan menyokong cadangan & usaha ke arah menghasilkan majalah Radio Amatur kita sendiri ini. Saya juga mengalu-alukan sebarang komen terhadap cadangan ini. This is the latest rig in my posession. Just bought it yesterday from Wave Communications for quite a good price. It's a used rig, but still functioning well. My plan is to replace my mobile Icom 2200H with this V8000 so the former can be used as a base rig. Satu kelas ulangkaji soalan-soalan RAE akan diadakan seperti berikut. Amateur radio, the scientific hobby that brings together enthusiasts in many parts of the world, irrespective of race, creed, or social standing, was first introduced into Malaya in the late 1920s. Amongst the early pioneers was R.E. Earle, VS1AB, who was active during 1928 to 1930. At that time, overseas transmissions were scarce and irregular. Also the late G.M. Salt, VS2AF, who commenced in 1930 from Glenmarie Estate, Batu Tiga, Selangor, and the late T.G. Laver, VS2AC, from Masai, Johor. The late A.N. Randall, VS3AB, operated from Johor Bahru. Reg. Hollis-Bee of the Public Works Department operated as VS2AG from Kuala Kangsar, Perak. During 1932, VS2AF and VS2AB operated successfully on 56 MHz over a distance of 10 miles. 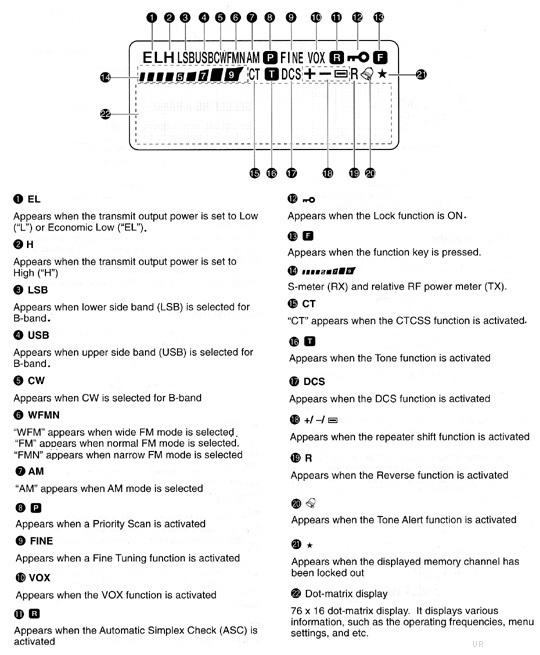 Radio communication was confined only to the HF bands using the AM and CW modes only. After the Emergency period, the VHF band was opened to the hams. And from then on the introduction of repeaters came about, after VHF FM amateur radio communication gaining popularity among the members. In 1975, The first VHF repeater, 9M2RUK, was installed by MARTS on Gunung Ulu Kali in Genting Highlands for covering the Klang Valley, and its surroundings. Subsequently it was followed by the setting up of the 9M2RBB repeater on Penang Hill in 1984, Gunung Ledang repeater 9M2RGL, Kuala Lumpur’s 9M2RKK and 9M2RKL also followed suit. In 1989, the Gunung Pulai repeater 9M2RGP was put up, and one year later te Kangar repeater 9M2RMK was installed. Repeaters do a good job of increasing radio communication coverage. And since then, they have been providing useful services to its members, and during times of emergencies. Since their first installation in 1975, these repeaters only served the local coverage area. If any hams wanted to talk to other hams in other states using this mode, they would have met with disappointment. 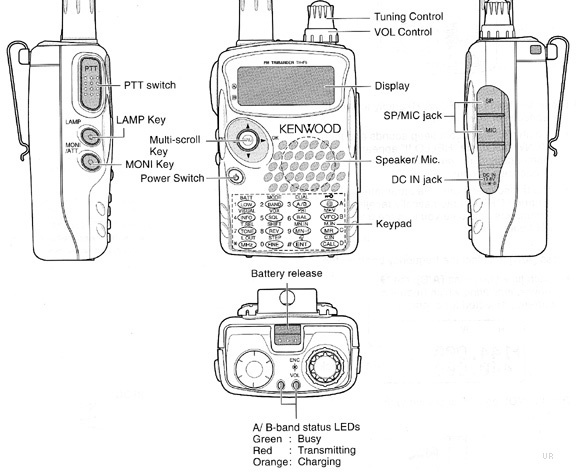 The thought of being able to use the walkie-talkie for a ham lives in Penang to talk to another ham lives in Johor or Malacca with just the press of the PTT (push to talk) has always been a dream. The reality that confronts MARTS to put up such a system was beyond the financial means and resources at hand. In 2005, a task group was finally put together by MARTS to look into the possibility to link up the many repeaters situated in the various states. The need to have a complete radio communication coverage in peninsular Malaysia was further spurred after the tsunami in 2005. MARTS felt obligated to serve the community in imes of emergency and disaster. By having radio communication coverage during these times, much help can be rendered toward to the support, health, and rescue agencies. MARTS is a society that welcomes all hams to be members. It does so without any discrimination toward race, creed or religion. Being an open society, it is very fortunate to have in its membership many employees of Motorola, who have come forward to give support and help toward this project to link up the repeaters. Having professionals in various fields of engineering as its members, MARTS was able to obtain technical formation from these people to form a working paper for the implementation of this project. Support in the form of technical expertise and equipment made the project a reality. Extra repeaters were installed on Bukit Bendera in Penang, Gunung Berincang in Cameron Highlands, Gunung Ulu Kali in Genting Highlands, Gunung Ledang in northern Johor, and Gunung Pulai in southern Johor. For safety and security reasons the repeaters were all installed at Telekom Malaysia hill station towers and buildings. Today, we have the completed task: ability to QSO (contact) from the north of peninsula Malaysia in Perlis till Johor Bahru in the south. The following is an article written by Steven Krauss a.k.a. Dr Abdul Lateef Abdullah who studied Seni Silat Gayong from guru Sulaiman Shariff in the USA. I had the opportunity to interview him for the SENI BELADIRI magazine several years ago where he talked about his reversion to Islam via silat. He has since married a Malaysian and furthered his studies in a local university. In this article he wrote personally, Dr Abdul Lateef elaborates on his experiences in silat and his journey to Islam. My experience in Islam began as a graduate student in New York City in 1998. Up to that point in my life, for 25 years, I had been a Protestant Christian, but had not been practicing my religion for quite some time. I was more interested in “spirituality” and looking for anything that didn’t have to do with organized religion. To me, Christianity was out of touch and not relevant to the times. It was hard for me to find anything in it that I could apply to my everyday life. This disillusion with Christianity led me to shun everything that claimed to be organized religion, due to my assumption that they were all pretty much the same, or at least in terms of their lack of relevance and usefulness. Much of my frustration with Christianity stemmed from its lack of knowledge and guidance around the nature of God, and the individual’s relationship to Him. To me, the Christian philosophy depends on this rather bizarre intermediary relationship that we are supposed to have with Jesus, who on one hand was a man, but was also divine. For me, this difficult and very vague relationship with our Creator left me searching for something that could provide me with a better understanding of God, and our relationship to Him. Why couldn’t I just pray directly to God? Why did I have to begin and end every prayer with “in the name of Jesus Christ?” How can an eternal, omnipotent Creator and Sustainer also take the form of a man? Why would He need to? These were just a few of the questions that I could not resolve and come to terms with. Thus, I was hungry for a more straightforward and lucid approach to religion that could provide my life with true guidance, not just dogma that was void of knowledge based in reason. While in graduate school, I had a Jewish roommate who was a student of the martial arts. While I was living with him, he was studying an art called silat, a traditional Malaysian martial art that is based on the teachings of Islam. When my roommate would come home from his silat classes, he would tell me all about the uniqueness of silat and its rich spiritual dimension. As I was quite interested in learning martial arts at the time, I was intrigued by what I had heard, and decided to accompany my roommate to class one Saturday morning. Although I did not realise it at the time, my experience in Islam was beginning that morning at my first silat class in New York City back on February 28th, 1998. There, I met my teacher, Cikgu Sulaiman, the man who would first orient me to the religion of Islam. Although I thought I was beginning a career as a martial artist, that day back in 1998 actually represented my first step toward becoming Muslim. From the very beginning, I was intrigued by silat and Islam and began spending as much time as possible with my teacher. As my roommate and I were equally passionate about silat, we would go to my teacher’s house and soak up as much knowledge as we could from him. In fact, upon our completing graduate school in the spring of 1998, upon his invitation, we spent the entire summer living with him and his wife. As my learning in silat increased, so did my learning about Islam, a religion that I had hardly any knowledge of prior to my experience in silat. What made my orientation to Islam so powerful was that as I was learning about it, I was also living it. Because I studied at the home of my teacher, being in the presence of devout Muslims allowed me to be constantly surrounded by the sounds, sights and practices of Islam. For as Islam is an entire lifestyle, when you are in an Islamic environment, you cannot separate it out from everyday life. Unlike Christianity, which lends toward a separation between daily life and religion, Islam requires its followers to integrate worship of Allah into everything we do. Thus, in living with my teacher, I was immersed in the Islamic deen (lifestyle) and experiencing first-hand how it can shape one’s entire way of life. Since Islam is focused on the most healthy, positive way of conducting our lives in every setting, then it is, and always will be, the only real answer to any society’s social dilemmas. In the beginning, Islam was very different and powerful to me. It was also very foreign in many ways and the amount of discipline it requires was difficult to understand. At the time, I was liberal in many ways, and was used to shunning anything dogmatic or imposed, regardless of where it came from! As time went on, however, and my understanding of Islam grew, I began to slowly see that what seemed to be religious dogma was really a lifestyle put forth to us by our Creator. This lifestyle, I would later learn, is the straight path to true contentment, not just the sensual and superficial way of life that my society and culture promote. I realised that the question is quite simple actually. Who could possibly know better what the best way of life is for human beings than the all-wise Creator? From that first silat class in New York City to the day I took my shahadah, July 30, 1999, I had undergone a thorough self-examination that was comprised of two major processes. One was to question the culture of the society I was brought up in, and the second was to question the role I wanted religion to play in my everyday life. As for my culture, this one was not as difficult as most people would think. American culture is highly influential on how we see life because it constantly bombards us with sensual gratification aimed at appealing to our worldly desires. In America, happiness is defined by what we have and consume, thus, the entire culture is geared toward the marketplace. Unless we are removed from this type environment, it is difficult to see its drawbacks, which are based on worshipping and putting faith in everything but God, the only One that can provide us with real, lasting contentment in our lives. Being a social scientist by trade, much of my professional time is spent trying to address the social ills of our society. As I learned more about Islam, I came to the conclusion that many societal ills are based on unhealthy social behavior. Since Islam is a lifestyle focused totally on the most healthy, positive way of conducting our lives in every setting, then it is, and will always be, the only real answer to any society’s social dilemmas. With this realisation, not only did I decide that Islam was relevant to my everyday life, but I began to understand why it is so different from other religions. Only Islam provides knowledge and guidance for every aspect of life. Only Islam provides a way to achieve health and happiness in every dimension of life—physical, spiritual, mental, financial, etc. Only Islam provides us with a clear life goal and purpose. And only Islam shows us the proper way to live in and contribute to a community. Islam is what everyone needs, and what so many who have not found it yet, are searching for. It is the path to purpose, meaning, health and happiness. This is because it is the straight path to the source of truth and real power—Allah. It was only until I actually became Muslim that I realised just how encompassing the Islamic lifestyle is. Literally everything we do has one underlying purpose – to remember Allah. The lifestyle provides us with the way—not just the understanding—but an actual method of constantly remembering our Creator in as simple an act as greeting someone, or getting dressed in the morning, or waking up from sleep. Islam shows us that by remembering Allah, everything we do becomes focused on Him, and thus becomes an act of worship. From this, our energy, our thoughts, and our actions all become redirected away from unhealthy and useless causes and focused on the source of all goodness. Thus, we are continuously tapping into His divine strength, mercy and grace. So, by remembering Allah constantly, we become stronger and healthier in every aspect of our lives and not distracted by self-defeating thoughts and behaviors. There still remain some minor aspects of Islam that have proven to be somewhat difficult adjustments for me. Nevertheless, I thank Allah everyday for the ease to which he has allowed me to make the necessary changes in my life so that I can continue to live in America and still be, Insha-Allah, a good Muslim. As a white, middle-class American, many cultural aspects of Islam are quite different from the way in which I grew up. In fact, when I finally broke the news to my family that I had become Muslim, almost all of their questions and concerns were related to cultural differences—marriage, social life, family, etc. They were much less concerned about my general beliefs about God and religious practice. For my family, friends, and co-workers, becoming Muslim was not seen necessarily as a negative change, but it has required a great deal of education about Islam. Because acquiring knowledge is a critical component to a Muslim’s development, having a teacher who has taught me how to apply Islam in everyday life has made all the difference in managing whatever difficulties I have experienced from my reversion. Having someone knowledgeable you can turn to whenever you have questions is a wonderful support that every new revert should go out of their way to find. Islam is not a religion that can be rationalized, in the way that Christianity and Judaism are. It is a clear path that must be followed just as Allah has laid out for us through the Qur’an and the lives of our beloved Prophet Muhammad (SAW), his companions, and the saints of Islam. In this day and age, in this society, discerning the path can often be difficult, especially when we are constantly faced with questions and doubts from people who on the surface may not be hostile to Islam, but whose general lack of faith can have a harmful effect on someone who bases everything they do on their love for Allah. It is also not easy being in an environment where we are constantly bombarded with sensual temptations that are seen as ordinary, common aspects of everyday life. But when we have the support of a knowledgeable, experienced teacher, who is able to apply the universal teachings of Islam to his life, then the truth becomes clear from error, exactly how Allah (SWT) describes in the Qur’an. From this, we are able to understand how to apply Islam correctly to our own lives, and Insha-Allah, receive Allah’s many blessings. The ultimate test, however, of anyone who claims to have true and right knowledge, is to look at how they apply it in their own lives. If their actions support their teachings, then and only then should we look to them for guidance. My journey to Islam has been a life-altering experience. It is one that with every passing day makes me more and more appreciative and thankful to Almighty Allah. The extent of His mercy can only fully be understood from the perspective of a Muslim—one who prostrates regularly and submits their will to that of the Creator. I look back at my life prior to Islam and reflect on the different ways I sought guidance. I think back to all the different ideas I once had of who God really is, and how we can become close to Him. I look back now with a smile and perhaps even a tear because now I know the truth. Through Islam, I know why so many people who do not believe have so much fear inside them. Life can be very scary without God. I know, because I once harbored that same level of fear. Now, however, I have the ultimate “self-help” program. It’s the self-help program without the self. It’s the path that puts everything is in its proper place. Now, life makes sense. Now, life is order. Now, I know why I am here, where I want to go, what I want my life to be, how I want to live, and what is most important not just to me, but to everyone. I only hope and pray that others who have not found the path yet, can feel the same that I do. Diharapkan mana-mana rakan ham yang berkelapangan agar dapat membantu. * Fasiliti lain - bilik hawa dingin, projektor,surau,dll kemudahan asas. Important Note For Payment:Please register first. Payment method will be sms to those who registered for the classes. Participation for this classes will be based on first come first serve basis, so please submit your application as early as possible. Alternatively, you can submit the form to the Club House, (attention to 9M2SQL) or fax to 03-7781 1859. Deadline for class registration is on 15 May 2009. Good luck to all candidate from MARES. Tarikh : 6 - 7 Jun 2009 (Sabtu & Ahad). Percuma : Peserta berusia bawah 17 Tahun & Peserta berusia 60 tahun keatas. Fasiliti Lain - Bilik Hawa Dingin, Projector, Surau & Kemudahan asas lain disediakan. Untuk peserta yang memerlukan penginapan, kemudahan disediakan dgn bayaran yg minimum oleh JAIS. Masa : 0800 pagi (Masa Pendaftaran). Pada rakan rakan semua tolong sampaikan pada semua bakal bakal yang akan mengambil RAE dan juga pada yang ingin menambah pengetahuan dalam bidang amatur ini boleh lah menghubungi Pengurus ASTRA Melaka iaitu 9W2USM Pak Mustafa. Diharap rakan-rakan ham akan QRV di Frekuensi transnasional ASTRA. Forum ini adalah salah satu cara kita memanfaatkan hobi Radio Amatur, diharap lebih ramai akan mengambil bahagian. Among these 3 triband handie talkie, which one is the best? Protected against water ingress by a wide array of rubber gaskets and other weatherproofing techniques, the VX-7R is rated for 30 minutes of submersion at a depth of 3 feet (JIS-7), plus a tough magnesium body with rubber bumper pads, making it ideal for outdoor use. Plus you get Dual Receive, 50/144/430 MHz operation plus wide-band receive coverage, a full color status indicator Strobe, and an "Internet" key for quick access to the exciting new WIRESâ„¢ repeater-internet linking system. Not only can you hear your favorite TV programs with the preprogrammed TV channels, but you can also listen to short-wave, AM and FM broadcast radio stations, police, fire, military, aircraft, various amateur bands and more. Receive coverage is: 495 kHz to 999.990 MHz (less cellular). With 500 alphanumeric memory channels, plus 50 band edges and 5 call channels, the IC-T90A is a dream radio! But, with ICOM's new DMS (Dynamic Memory Scan) technology, the IC-T90A makes the dream a reality. With the maximum of 18 banks or 99 channels per bank, you can pick and choose any desired channel for scanning from 500 available memories. This compact radio is comfortable in the smallest of hands, and offers full radio control for large fingers. The rugged die-cast aluminum chassis is designed for the most demanding environments with JIS-4 specification for weather resistance. This amazing radio transmits in the 144, 200 and 440 amateur bands and has dual channel receive capability. Enjoy full 5 watts output on each band while operating with the supplied 7.4 volt 1550 mAh lithium-ion battery (or external 13.8 VDC power). A low power setting of 0.5 watts and an extra low power output of 0.05 watts is featured. The controls are easy to use and the LCD informs you of the exact status of the radio. 9w2azx: "9w2mdy, this is 9w2azx calling, over,"
9w2nzy: "9w2azx, this is 9w2nzy, standing by, over,"
Adakah 9w2azx bersikap kurang sopan kerana tidak menjawab panggilan 9w2nzy? Tidak, kerana 9w2azx memanggil 9w2mdy dan bukan 9w2nzy. Tetapi, sekiranya 9w2azx meminta "9w2mdy atau mana2 station" untuk reply dan 9w2nzy membalas, 9w2azx bersikap kurang sopan kerana tidak menjawab panggilan 9w2nzy. 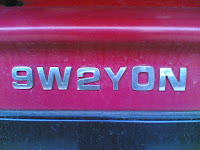 Terima kasih kepada 9w2mdy & 9w2nzy kerana membenarkan callsign mereka digunakan. Dear CIMB Customer,Our Security Systems detected a security threat in your account as it was accessed from a blacklisted location. We have deactivated your account pending your immediate reactivation. Note that inactive accounts will be deactivated in less than 5min for security reasons. We regret any inconvenience caused. Please, please ignore the email, note it as scam & block future emails from the sender. I've confirmed with CIMB that no such things exist & this is just one of those banking scams to force you to submit your bank account details. Yes, I've resigned from my old workplace - AirAsia Berhad - and now I'm working in Subang Airport, still as an aircraft engineer, only in a slight different environtment. Nearer to base, only approx. 20 minutes. Less time for me to mobile QSO. Hmm...but more time on weekends...yes, for family outings & possibly Ham Radio activities. So friends, please take note, I'm still alive & available for QSO, although a bit QRL. For new friends, you can view me (9w2azx) via qrz.com , Myradioham blog, Mycallsign or Facebook . What can we do? Well, if you ask me, i'm suggesting that we must keep our mobile antennas indoors at night, or in the car whenever you park it. But being hams, we must be thinking, "why, who would want our 'skinny' antennas?" Yes, only hams will recognise those pointy metal rods & wouldn't have the slightest intention of stealing them. But as we all know, bad things will happen, and in this case, most probably it's the drug addicts who should be blamed, selling anything to get any amount of money just to have a fix. The least that we all can do is, be careful. Yes, be careful of where we park our car, of how you mount your antennas, and be watchful of your surroundings. And to Naza, please be patient and I hope you'll soon find a replacement for your beloved antenna. p/s: anybody looking for a used Diamond SG2000 base? 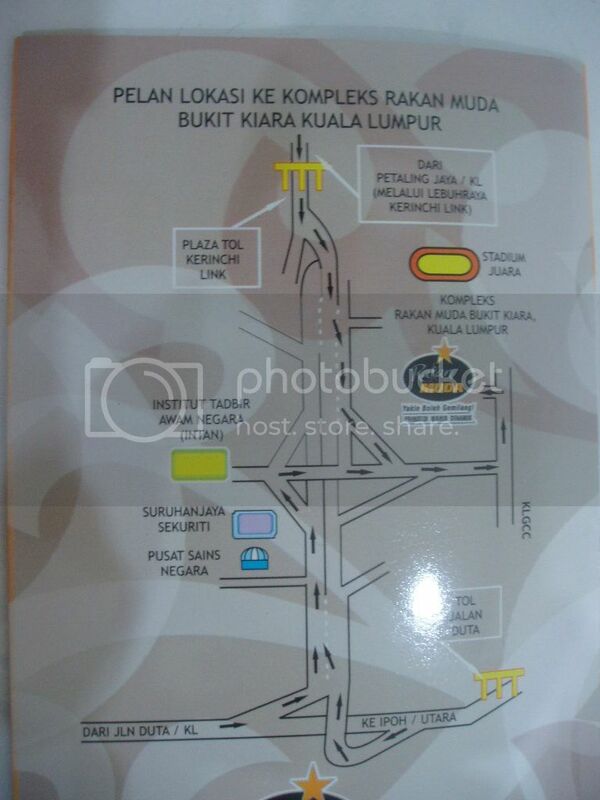 Mengumumkan Lokasi untuk Mesyuarat Agung Pertama Koperasi KRAMAT adalah di Kompleks Rakan Muda Bukit Kiara, Kuala Lumpur. Untuk makluman kompleks ini berhadapan dengan INTAN Bukit Kiara dan bersebelahan dengan KLGCC. k-RAMAT atau Koperasi Radio Amatur Malaysia ditubuhkan atas dasar untuk membina satu rangkaian komprehensif peminat radio amatur yang telah sedia ada di Malaysia ini. k-RAMAT juga berfungsi untuk memberi kebajikan kepada semua ahli dalam pelbagai bentuk kelebihan yang akan ditawarkan oleh koperasi k-RAMAT ini. Buat sementara waktu k-RAMAT ini beroperasi di No.22, Jalan BP6/12, Bandar Bukit Puchong, 47100 Puchong, Selangor. Tel: 03-80623370 Fax: 03-80623372. A CAITHNESS schoolboy has made waves after qualifying to hold an amateur radio licence at the tender age of eight. Danny Morrison, from West Murkle, near Thurso, passed the foundation-level exam to entitle him to send messages to fellow hams throughout the world. His success in becoming one of the youngest in the UK to have a licence has delighted his father, Denny Morrison, an experienced amateur radio operator, and the voluntary north of Scotland manager for the Radio Society of Great Britain. Danny’s interest began in April 2006 when his father was among the hams who made contact with US astronaut Bill McArthur as he orbited the Earth in the International Space Station. The youngster’s interest grew to the stage that he was ready to sit the formal RSGB entrance exam. As well as getting help from his dad, the youngster was tutored by Jim Moar, from Castletown, and sat the exam at Wick on Thursday last week, and passed with flying colours. He now has his own logbook for his calls. Apart from being one of his main hobbies, he is hoping it will help him fulfil his ambition to become a sea captain. His achievement encouraged his mum, Rona, to join the club and study for the exam. About 100 a year from Britain sit the foundation course each year. - so, how about encouraging our youngsters to join the ham world? Malam tadi Ahad mlm Senin 21/9/08, lebih kurang jam 3 pagi, saya terjaga dari tidur, hujan lebat dan angin kuat turun mencurah-curah; sahur lambat lagi, tapi hujan dan ribut kuat sangat, rasa mcm nak tercabut bumbung rumah saya tu. Tiba-tiba, tanpa diundang saya terus teringatkan rumah Bang Din (dlm gambar) yang kami kunjungi hari sabtu yang lepas. Rumah Bang Din yang terletak x jauh dari Lata Air Deras Hutan Sedim, Kulim Kedah itu hanyalah berbumbungkan atap kain tarpan yg waktu kami kunjungihari tu, jelas boleh lihat berlubang sana sini. 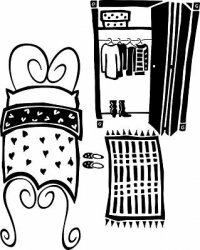 Tingkap cermin Nako pula terbuka luas, yg ada cuma besi tingkap ja, cerminnya x ada; bila kena ribut mcm malam tadi, pasti angin tu terus menerpa menerjah masuk ke dalam rumah x ada tapis-tapisnya lagi mcm rumah saya tu. Macam manalah gamaknya anak-anak Bang Din hat kecik-kecik tu tidoq; anak-anak saya dah la hujan lebat, dlm bilik depa siap pasang kipas angin lagi. Anak2 Bang Din x payah kipas angin, terus dpt angin fresh dari bukit...sejuk sure x leh nak habag punya. Kami sampai rumah Bang Din lebih kurang jam 9:00 pagi hari tu, 7 buah kereta semuanya berkonvoi ke sana. Selepas sambut kami, waktu kami tgh dok kelam kabut perturunkan beras gula kopi dsbgnya, Bang Din menghilang ke belukar di belakang rumahnya, sedar x sedar dia dah angkut mai setandan Pisang fresh dari hutan; dia potong-potong dan hadiahkan kat kami sebagai buah tangan.Bang Din ni memang mcm tu, memang suka tolong org; hatta diriwayatkan tanah tempat dia duduk tu diberi duduk percuma oleh seorang Doktor dari Hospital Kulim yg kebetulan merupakan seorang AJK NGO PAKSI, Doktor ni selalu bawa Bang Din ke sana sini sebab Bang Din cukup seronok ikut team NGO doktor tersebut pi tolong org2 susah, tapi x sangka Bang Din sendiri pun lebih susah drpd org susah rasanya. Selain dari tu, dlm jiwa Bang Din, w/pun dia org susah, tapi dia cukup berani pi ke depan berjuang untuk golongan rakyat marhain sepertinya; waktu demo Ubi Kayu membantah kenaikan beras di pekan pdg serai kedah bulan Mei 08 yg lalu, Bang Din lah yg duduk kat line depan. Diriwayatkan juga bahawa pernah di suatu musim p.raya kecil di sebelah Kedah sana, Bang Din tinggalkan anak bininya selama hampir seminggu untuk berbakti kpd parti pilihannya; Bang Din harap sepeninggalannya itu, pimpinan parti di peringkat cawangan dan kawasanlah yg akan mai ambik tahu sakit demam dan makan minum anak isterinya itu. Tapi, apa yg terjadi? seminggu Bang Din tinggalkan anak isterinya tu, bila kebetulan bekalan beras terputus, selama hampir seminggu itulah isteri dan anak-anaknya menggalas perut dgn hanya makan pisang rebus! Hiba sungguh hati Bang Din bila balik-balik tengok anak isterinya jadi macam tu. Entahlah kdg2 kita sendiri x paham dengan nasib mereka-mereka ygbergelar pejuang ni. Mungkin itulah yang dikatakan sebagai Harga untuk sebuah Perjuangan! Okeylah, kita tinggal seketika kisah Bang Din, seorang pejuang di hutan Sedim ini. Dari rumah Bang Din melalui celah-celah ladang getah itu, kami bertolak ke kawasan sawah padi di Sidam Kedah. Sedim dan Sidam, nama seakan serupa, satu Sedim satu lagi Sidam, dua-dua tempat ada org susah. Di Sidam, kami ke rumah Abang Awang yg dok kerja amik upah meracun rumput dan kerja-kerja yg berkaitan bendang. Ada kerja adalah upah; dgn sedikit upah tu, lepaslah juga Abang Awang boh minyak mutu dan menyara hidup anak-anaknya yg empat org. Di sebelah rumah beliau, adalah rumah org tuanya, Tuan Haji Mohamad yg cacat dan terpaksa berkerusi roda ke sana ke mari. Abang Awang dan isteri serta org tuanya Tn Haji Mohamad nampak seakan terkejut dengan kunjungan kami, sampaikan dua-dua depa x kata apa, nak kata terima kasih ka nak tanya mai mana ka, tak tanya langsung, mcm terpukau ja tiba-tiba ada 7 buah kereta entah mai dari mana-mana tiba-tiba mai landing kat atas batas ban (permatang) kat bendang depan rumah depa tu. Cantik pemandangan kawasan bendang di waktu tengahari tu; mcm kata sorang kwn, kalau ada hammock (ndoi) gantung kat pokok tepi bendang tu, mau boleh lena sampai ke petang. Kami berharap sumbangan yg dibawa itu sedikit sebanyak mampu membantu mereka sekeluarga menempuh kedatangan syawal; dan saya sempat pesan kpd Tuan HjMohamad kalau boleh waktu berbuka nanti, jamahlah sedikit makanan yg dibawa oleh seorang sahabat kami tu yg beliau niatkan untuk dimakan waktu berbuka, kata dia nak tumpang pahala bagi makan org berbuka. Moga sampai juga pahalanya untuk sahabat kami itu. Kata Long lagi:"Tiba-tiba 9 tahun yang lepas, anak lelaki Long sorang tu meninggal dunia; 3 bulan lepas tu pula isteri dia lari menghilangkan diri; tinggallah cucu-cucu Long yang 3 orang tu dengan Long sampai hari ini (Syakir T3, FirdausT1 dan Danial B3). Anak lelaki Long hat sorang lagi dok di Selangor, 50an, kerja buruh dan niaga jual ayaq sikit sikit, dia adalah dok hantar mai RM100 sekali sekala tolong Long. La, Long la yg dok besarkan budak-budakni. Hidup Long ini x abih-abih dengan Ujian." Kami pun x sangka Long nak mengadu kat kami detail sampai mcm tu, mungkin sebab selama ni x dak org dok mai amik tahu pasal dia kot, or mungkin sebab kami ni a complete stranger, tu yg dia x kisah pi luah habis-habisan tu. Hmm, mungkin ada rahmatnya juga kunjungan kami tu,selain dpt sumbangan, dptlah juga buat suatu ketika dlm hidupnya, LongSiah dpt meluahkan segala-gala yg terpendam dlm jiwanya selama ini. Moga,perasaan dan jiwa Long Siah akan tenteram sikit selepas ini, dan moga beliau akan terus diberi kesihatan dan kekuatan serta ketabahan untuk terus membesarkan tiga org cucu-cucunya ini dengan seberapa kudrat yg beliau ada, mudah-mudahan! Seterusnya kami ke Kota Kuala Muda, Kedah. Rumah yg pertama kami lawat ialah rumah Pak Yaakob 70, melihat kesan-kesan Tsunami di sekeliling rumahnya. Tak banyak yg mampu ditulis mengenai beliau, cuma tipikal Nelayan Pantai yg sudah berusia, menghabiskan sisa-sisa hidupnya sekeluarga bersama ngauman dan jeritan ombak yg membenam pantai di belakang rumahnya tanpa henti siang dan malam; dan di suatu ketika ombak yg menjadi temannya selama ini tiba-tiba bertukar ganas menjadi Tsunami dan memusnahkan segala-galanya dlm sekelip mata. Melihatkan kesan runtuhan Tsunami itu mengingatkan kami akan kebesaran Allah SWT, Tuhan YgMaha Pencipta! Oh ya, saja nak habag sebelum itu kami dibawa oleh seorang sahabat kepusat jualan ikan di Kota Kuala Muda. Kami beli ikan fresh satu raga (pakai teknik berbisik) dan bahagi-bahagikan sesama kami untuk oleh-ole dibawa pulang. Dari situ, kami menyusur pantai menuju ke kawasan Nelayan di Pulau Sayak. Di sana, kami disambut oleh Ketua Kampung (kerajaan baru)yg begitu prihatin mengambil berat tentang org2 miskin dan susah di kampung sekitarnya. Saya panggil dia Abang Zan. Rumah pertama yg dibawa oleh Abang Zan ialah rumah Kak Noriah 43, ibu tunggal anak seorang. Selepas kematian suaminya 3 tahun yg lalu, Kak Noriah membesarkan anaknya dengan mengambik upah mengupas ikan bilis. Waktu kami ke rumahnya, Kak Noriah baru balik mancing ikan; dapatlah tiga empat ekoq ikan semilang untuk bekalan berbuka puasa petang nanti. Ada kwn minta nakbeli (sebab fresh dari laut) tapi Kak Noriah senyum saja, dia kata nak buat masak lauk berbuka. Hmm, mcm tu pun masih ada rupanya, kais pagi makan pagi kais petang makan petang; kami harap sumbangan beras kwn-kwn kami tu akan dpt meredakan sedikit bebanan Kak Noriah ini. Sebenarnya Kak Noriah juga tersentuh hati dgn kunjungan kami itu; kami pun x tau kenapa, tapi di akhir kunjungan kami sewaktu kaum perempuan yg turut serta dlm konvoi kami tu pi salam dan peluk beliau, Kak Noriah menitiskan air mata; mungkin beliau terharu sungguh dengan kunjungan kami ygramai-ramai itu secara tiba-tiba. Kami merasakan org-org seperti KakNoriah dan Long Siah ni, bukanlah material yg ditunggu mereka, namun cukup sekadar ziarah yg ikhlas insyaAllah bisa menggembira dan menceriakan mereka. Kemudian kami ke rumah Abang Alias x jauh dari rumah Kak Noriah. Abg Alias ada 3 org anak masih sekolah; beliau bekerja sbg awak-awak. Mcm mana kerja awak-awak? Kerja dia kalau tauke bot nak turun laut dan tauke bot tu mai ajak dia turun pi laut, maka dapatlah upah dia utk hari tu, kalau x dak x ada lah. Wonder mcm mana depa sekeluarga boleh survive dlm keadaan punca pendapatan tak menentu ini. Mungkin sebab itu agaknya isteri Abang Alias mcm agak terkejut melihatkan beras 10kg 6 kampit bertimbun kat depan rumah dia tu (sumbangan kwn-kwn yg ikut mai, bawa beras sendiri sendiri) x campur lain-lain barangan lagi. Dengan bekalan banyak tu, rasanya kalau dua bulan lagi Abg Alias x ada kerja pun boleh survive dah rasanya depa sekeluarga. Saya pun x pasti apa ada dlm kotak pemikiran isteri AbangAlias sebab di akhir lawatan kami tu, sewaktu bersalam dan dipeluk oleh seorang isteri sahabat kami itu, beliau menangis teresak-esak; kami semua tergamam buat seketika, biasanya gambar mcm tu yg akan kami tangkap buat kenangan, tapi kali ni terus jadi terpana, semuanya jadi sunyi sepi, masing-masing tak kata apa, perasaan sayu yg panjang bertapak di dada. Akhir sekali Abg Zan membawa kami ke rumah Pn Norma, seorang ibu muda yg tabah, saban hari berulang alik ke Mak Mandin bekerja kilang di sana, mencari sesuap nasi utk anak-anak dan suaminya yg uzur diserang stroke. Memang rasa hiba melihatkan keadaan suami dan anak-anaknya tinggal di dalam rumah kecil hampir seluas master bedroom rumah saya tu; bumbungnya pula bocor sini sana, jika hujan ribut pasti x lena malam anak-anaknya. Entahlah, dari kawasan ladang getah di hutan Sedim, ke batas sawah di Sidam hinggalah ke perkampungan Nelayan di Pulau Sayak, kemiskinan masih tetap utuh bermaharajalela. Fikir-fikir sekali, semuanya ini bukannya apa, semuanya hanyalah cubaan belaka. Allah SWT jadikan orang miskin dan orang kaya, semuanya hanyalah Ujian semata. Si miskin diuji dengan kepapaan, si kaya diduga dengan kemewahan, akhirnya semuanya nanti akan dimatikan untuk menerima pembalasannya, seperti mana firman Allah SWT di dalam Al-Quran surah Al-Anbiyaa' ayat 35 maksudnya: "Tiap-tiap diri akan merasai mati, dan Kami menguji kamu dengan kesusahan dan kesenangan sebagai cubaan; dan kepada Kamilah kamu semua akan dikembalikan" Maka benarlah kata Long Siah, hidup ini tidak lain hanyalah Ujian. Demikianlah, sedikit cerita dari utara semenanjung, cerita benar derita rakyat jelata. Jika ada yang mahu menyumbang, sila hubungi saya 9w2azx@gmail.com , insyaAllah kita dapat usahakan sesuatu. Masa : 8.30 Pagi sehingga 5.30 Petang. Tempat : Dewan Serbaguna Jabatan Perpaduan Petaling Jaya. Kepada rakan-rakan yang lain sila hebahkan kepada mereka yang akan menduduki RAE nanti. Tarikh tutup permohonan untuk menduduki RAE adalah pada 24 hb October 2008 iaitu pada hari jumaat ini. Bagi mereka yang ingin mengambil RAE sila hantar borang anda secepat mungkin bagi mengelakkan segala kesulitan kelak. Sebarang maklumat lanjut sila rujuk laman web rasmi MARES. Untuk pertanyaan anda boleh menghubungi saya 9M2SQL Mutalib di no 017-6391632. Below is an article from 'The Star' on Malaysia Scout Movement's 51th Jamboree-On-The-Air recently. Two very exciting hobbies. Please read on. PENANG October 18, 2008 - Communication over amateur radio (ham radio) frequencies is still a hit among Scouts and Guides at Wisma Pengakap at Penang’s 51th Jamboree-On-The-Air (JOTA) despite the Internet. In the picture: Penang Scouts Commissioner Zulkafli Kamaruddin trying to communicate with foreign Scouts via amateur radio after the opening of JOTA-JOTI at Wisma Pengakap. Organising committee secretary Tan Thean Wooi said many participants found it exciting using the traditional way to communicate as they could hear the voice of their counterparts. “It is fun talking to them over the radio instead of using the Internet where we only see written words." “It is also an opportunity for us to build friendships with our counterparts from all over the world,” he said. Tan was among some 350 Scouts, Girl Guides and cub Scouts from various schools on the island who gathered at the site for the JOTA and Jamboree-On-The-Internet (JOTI). They were so determined to have fun that even the scorching heat failed to dampen their spirits. All they had in mind during the one-day event was to complete the various activities and take home the Challenge Badge. State Scouts Commissioner Zulkafli Kamaruddin, who launched the event, said participants should take advantage of the event to exchange ideas and experiences with their counterparts from all over the world. “Participation in JOTI, especially will enhance their knowledge in information technology which is growing at a fast pace,” he said in his speech. JOTI is an international scout meeting on the Internet and is an official event of the World Organisation of the Scout Movement. It is held in October when thousands of Scouts from all over the world would meet and communicate with each other over the Internet. JOTI is combined with the JOTA, an event where Scouts can communicate with each other over amateur radio (ham radio) frequencies. Maaf, takde gambar kali ni, sibuk layan tetamu punya pasal sampai lupa nak 'pukul' (loghat Kelate) gambar. Kami sekeluarga telah mengadakan 'rumah terbuka AidilFitri' pada hari sabtu 18/10/08 yang lepas. Ramai jugak la yang hadir. Rakan-rakan radio amatur pun ramai. Menu - nasi kerabu, macaroni goreng & laksa. Kuih-muih raya pun ada la jugak. Tuan rumah awal-awal lagi dah standby kat v40, kot-kot la ada rakan ham yang sesat atau tak tahu jalan. Memang 'terbukti berkesan'. Lebih kurang 11am, 9W2BDZ & 9W2LKB sampai. Fadzlee sampai dulu, dah nak kenyang baru Zamri sampai. Petang tu takde rakan-rakan ham yang hadir. Rakan-rakan dari tempat kerja & jiran-jiran saja. Sebelum waktu maghrib, tengok laksa yang disediakan macam kurang berkualiti, jadi tuan rumah pun keluar untuk membeli laksa mentah yang baru. Semasa keluar pun, standby jugak kat v40. Keluar je dari rumah, kedengaran panggilan dari 9W2JIZ, bertanyakan arah nak ke rumah. Tuan rumah pun tanya, berapa kereta yang nak hadir ni. Berita yang awal-awal diterima ialah 8 orang. Rupanya tuan rumah salah dengar. 7 KERETA? Sebuah kereta ada lebih kurang 3 orang, 7 x 3 = 21. Cukup ke laksa aku ni? Terus beli 3 bungkus laksa mentah dan bergegas pulang. Mujur kedai pun dekat je. Sampai rumah, dari jauh dah kelihatan ramai rakan-rakan ham yang sampai. Antara yg hadir, 9W2JIZ, 9W2CYN, 9W2GTR, 9W2EEE, 9W2OCC, 9W2AQS, 9W2BCT, 9W2GTI, 9W2CLS, 9W2KLG beserta ahli-ahli keluarga mereka. Seronok tengok rakan-rakan ham datang ramai-ramai. Dipendekkan cerita, macaroni goreng tinggal sikit je, nasi kerabu pun hampir licin, laksa terpaksa direbus lagi. Semua yang hadir pulang lebih kurang 8.30pm. Alhamdulillah...rumah terbuka berakhir dengan baik. Selepas 2 tahun tak mengadakan rumah terbuka AidilFitri, yang diadakan kali ini ternyata tidak menghampakan. Rasanya, tradisi 'rumah terbuka' ni haruslah diteruskan dan digalakkan. Ya lah, kita yang tinggal di bandar ni, peluang macam ni lah yang patut diambil untuk menziarah rakan-rakan dan berkenalan di samping mengeratkan lagi hubungan sesama kita. *rakan2 ham boleh hantarkan gambar callsign anda ke (mms) +6012-2026674 atau (email) 9w2azx@gmail.com. married to a wonderful lady Eda Azura Ariffin & blessed with 4 wonderful kids, Alya Sabrina, Muhammad Adham, Aisyah Najiah & Alisya Hannah. Join The Amateur Radio Community!! !